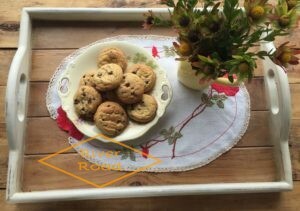 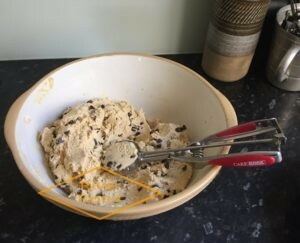 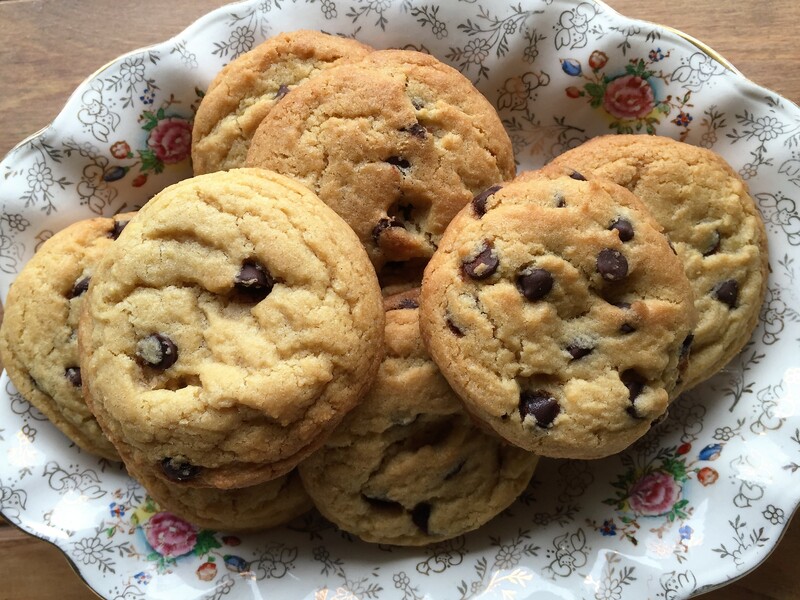 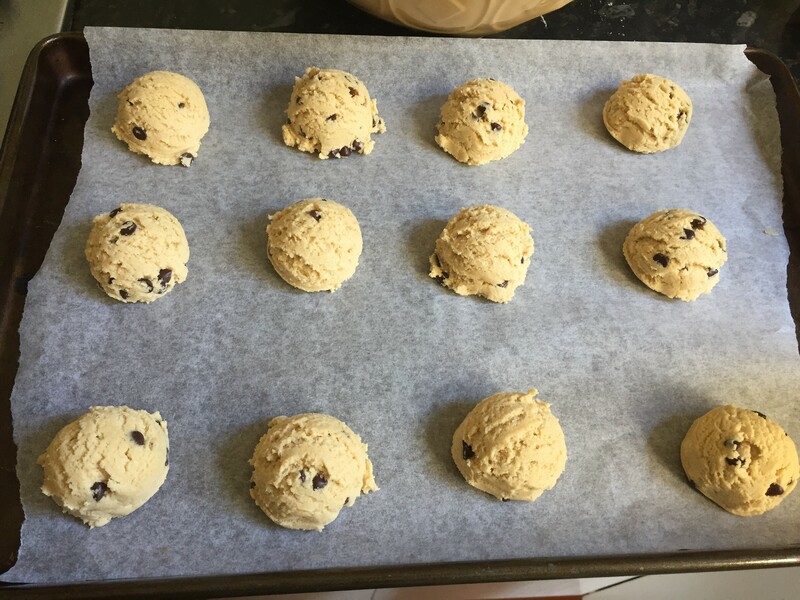 3 simple tips to make perfect chocolate chip cookies…. 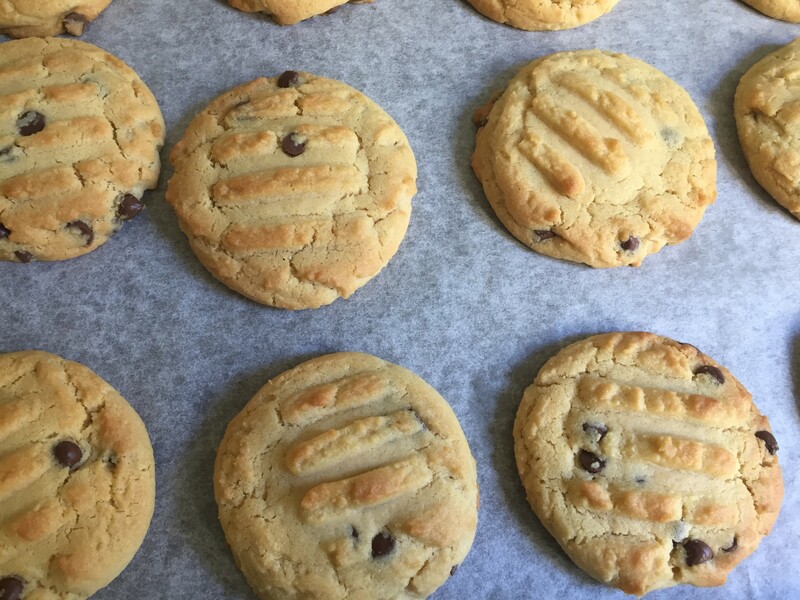 My son told me tonight he had three shared lunches at school next week. 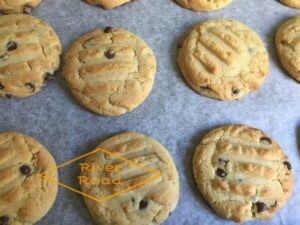 I thought about all I could bake, but I decided to make a large batch of chocolate chip cookies. 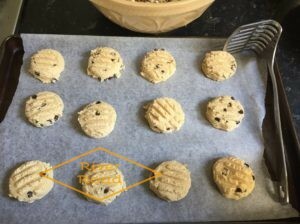 Start by pre-heating the oven to 375 Degree F./190 Degree C.
Drop dough by rounded tablespoonfuls about 2 inches/ 5 cm apart onto ungreased cookie sheet. 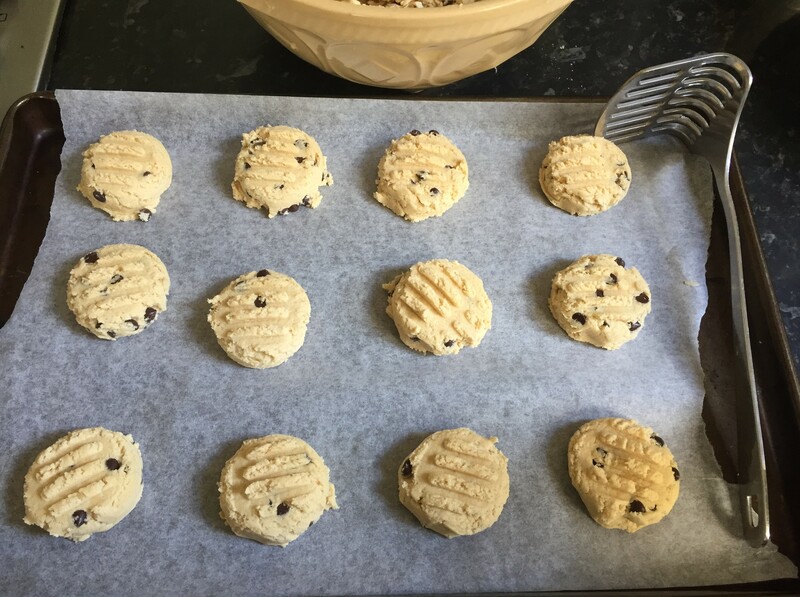 Bake 8 to 10 minutes or until light brown (centres will be soft). 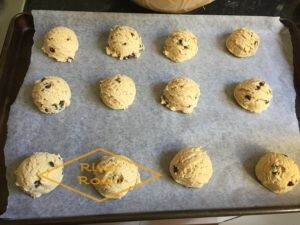 Cool slightly; remove from cookie sheet. Cool on wire rack. 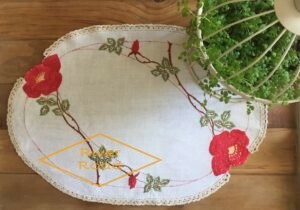 I love vintage things in my home. 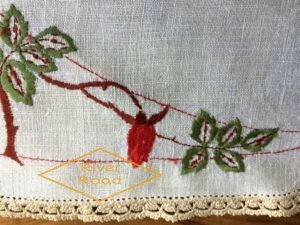 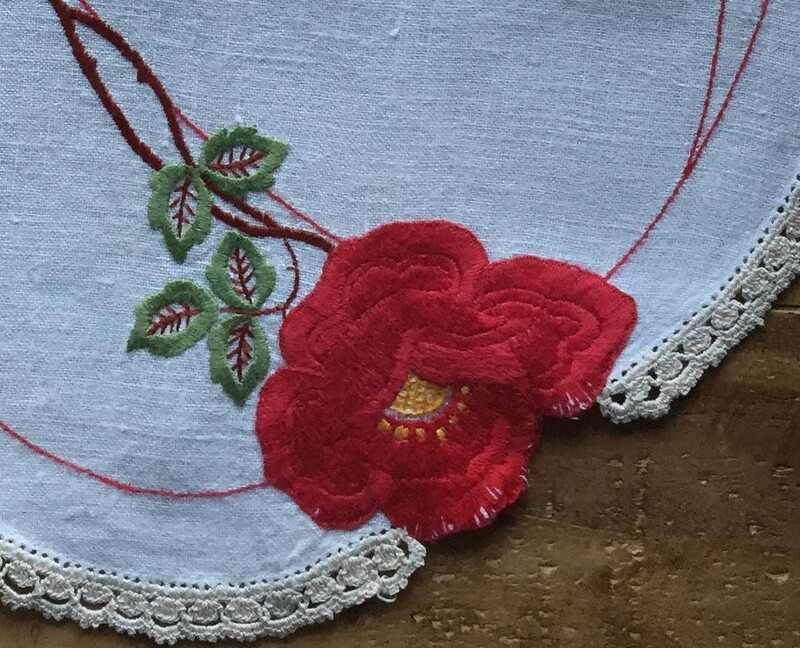 This beautiful vintage tray cloth was made by my grandmother’s friend in 1937. 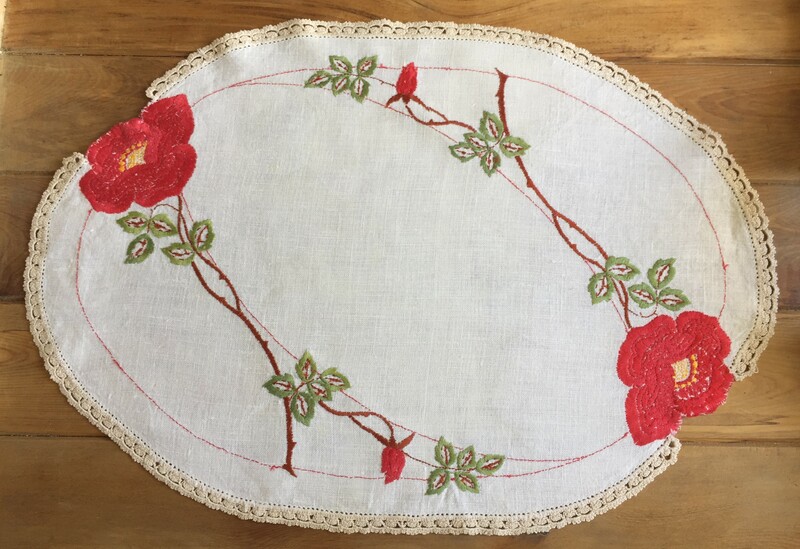 This entry was posted in Food, Home Decor and tagged Chocolate chip cookies recipe, cookie scoop, New Zealand, vintage embroidery.